This is a solo synthesizer CD by musician David Hendry. He is a big fan of Roland Novation synthesizers as quite a collection of different ones are used on these recordings (Roland JV 1080, JP8080, XP50; Novation A Station, Nov, Supernova). The first track begins with a repetitive bass synth sequence, over which samples and some new agey synths layer in and over it. "Other Worldly Journeys" is next and this is more spaced out spacescapes of sort. A fantastic and rich sound is achieved with all these modern synthesizers. After about 1½ minutes a bass line joins in and the rest of the song is wrapped around these modulated bass lines. Quite cool stuff. "The Loneliness of the Deep Space Traveller" takes us on a 13 minute journey, which is very mellow and spaced out until a sample of an astronaut comes in around 4½ minutes and then the bass synth line starts and the track really builds up into a dark theme and then becomes almost like an ORB like techno track. Very cool stuff. "Oracle Eye" is next and reminds me of some of the stuff on Seaweed's, Patchworks CD. This features some programmed drums and is quite a cool 11 minute trip into space. "Delta Ceiphi" is next and features Simon Williams on guitar (Mandragora!). This is the first thing I have seen Simon on in years. The track starts very new age with rich sweeps of lush sound before Simon kicks in at about 3½ minutes with some really cool delayed, highly effected guitar soloing. It is quite a short solo but he plays another one later in the track as well. The CD ends with the 26 minute "Colours Become Shapes". Here David experiments with some more far out sounds than on most of the other tracks. There are quite a few layers of stuff on this track. A very enjoyable space music CD. Transequence is another project by David Hendry. This demo is 7 tracks and about 60 minutes of pretty chilled out ambient electronica stuff with female vocals on some of the tracks. Often the music is like being in some sort of dream state. While O-Head is more deep space music, this is much more accessible and features a lot of beats (techno-light) with repetitive loops of synths and voice. It is extremely well put together and great to chill out to. The last track, "Synesthesia" is a full on trance like techno thing and it reminds me of some of the Mandala stuff (Mandragora techno side project). David Hendry continues to make creative music. He just needs a web site! 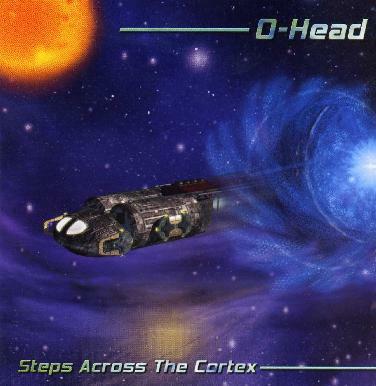 For more information about the O-Head CD you can visit the Centaur Discs web site at: http://www.centaur-discs.com. Email David Hendry at: transequence@blueyonder.co.uk.